This flaming hot retro trike is all about attitude. 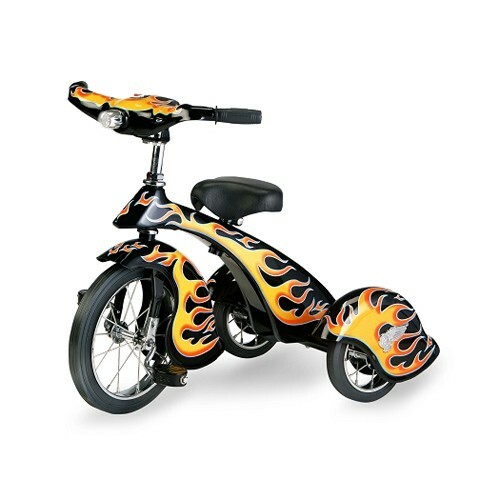 A classic trike design that makes its own statement with detail flames and black color. It's built with sturdy all-steel construction, has battery operated LED headlight, leatherette padded saddle, adjustable handlebars, durable steel spokes, and solid rubber tires. Adult supervision required.